Now it’s looking to clean up completely with a stunning Dacia Duster deal from under £100 per month. Rampant Dacia is offering British buyers arguably the ultimate new car “smart buy”. Get behind the wheel of its multi-award-winning flagship for just £99 per month. A chunky, family-friendly SUV for the price of a one-litre, three-door Volkswagen up! city car. 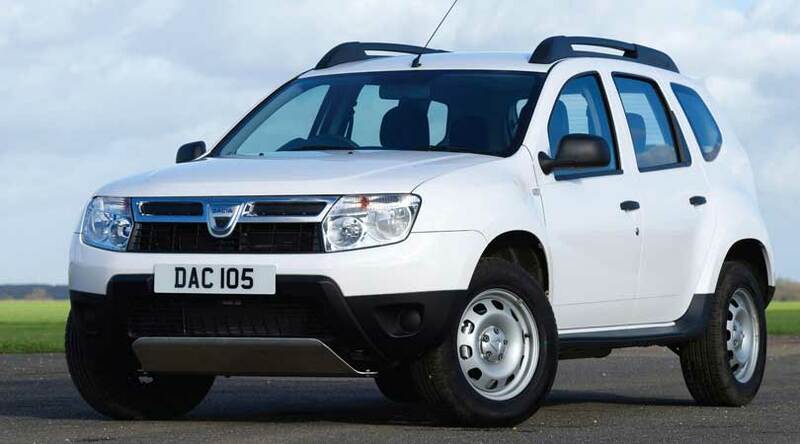 The jaw-dropping offer, available through Dacia Finance, is for the Duster Access 1.6 4×2 over four years. What’s the catch? There isn’t a cash one. The only condition is that each Dacia Duster has to be ordered and registered by the end of 2013. For only £20 more per month, buyers can upgrade to attractive Ambiance 4×2 spec with the fuel-sipping 1.5 dCi 110 engine. The mid-level version brings a series of creature comforts such as 4x20W radio CD, Bluetooth, AUX/USB connection and electric front windows. The range-topping Dacia Duster Lauréate, simply priced at a further £20 per month for the 4×2 dCi 110 version, offers a heady mix of air conditioning, front and rear electric windows, heated and electrically adjustable door mirrors and leather steering wheel. Its chunky looks are beefed up with the addition of alloy wheels, plus satin chrome styling touches and roof bars too. Incredibly, for unbeatable peace of mind motoring, all models of the Dacia Duster even come with free servicing (3 years/60,000 miles). Dacia has clearly struck a chord with budget-conscious new and used car buyers up and down the country. Year-to-date, Duster is already in fifth place for retail SUV sales (C-SUV segment), outselling well-established competitors such as the Ford Kuga and Skoda Yeti. Its success undoubtedly comes down to more than mere affordability though. Its stylish SUV scores high on practicality and reliability, together with low-running costs and fuel-efficient engines. It’s got a roomy cabin and huge boot to round off its tempting package. Plus, the bonus of rugged off-road capability in its 4×4 guises.